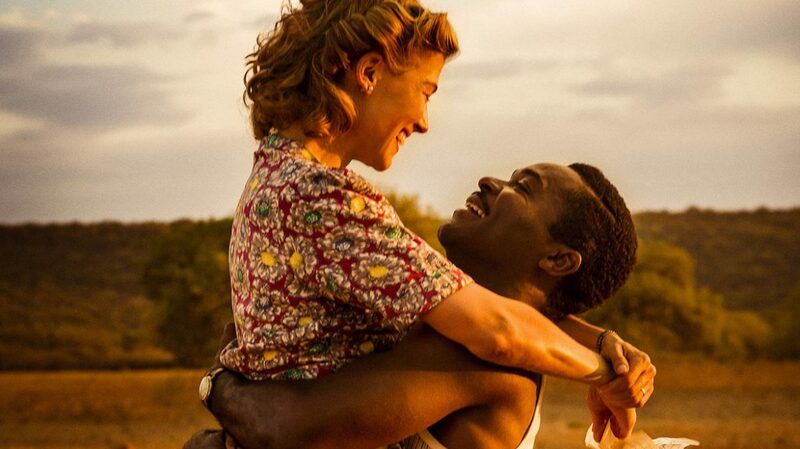 A United Kingdom, Amma Asante’s true-life biographical drama, is at heart a love story; the tale of an unlikely relationship that develops between two people increasingly sure they’ve found their soul mate, and the many, many forces that seem determined to keep them apart. 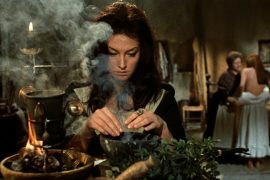 But it’s also a film that’s far more interesting when it veers away from that central romance, to instead take a look at the political dilemmas their union provoked. 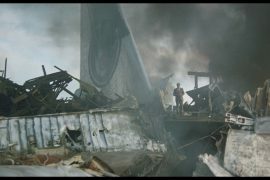 What you’ll take away from the movie is how resonant and relevant its themes of unity are in the real world. One look at contemporary headlines will prove that, in the fifty-odd years since these events took place, precious little has changed in the attitudes of society at large. The kingdom of the film’s title may not necessarily refer to the UK, but the irony of that name is difficult to ignore in today’s climate. 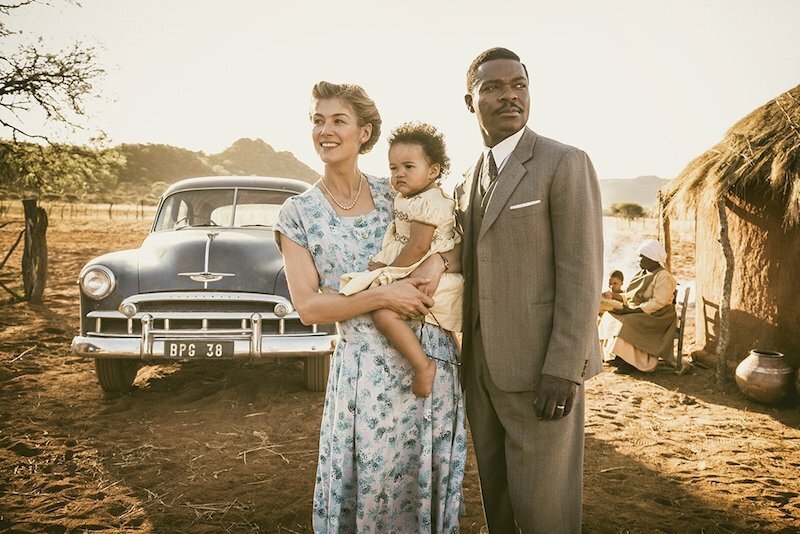 The story follows Seretse Khama (David Oyelowo), heir to the throne of Beuchana Land (modern-day Botswana), and Ruth Williams (Rosamund Pike), a spirited English woman living in 1950s London. A chance meeting between the pair sees them strike up an immediate accord, and when Seretse prepared to return to his homeland, Ruth agrees to marry him and leave her English life behind to ensure they remain together. In a perfect world, that might have been the end of the story, but Seretse’s family in Botswana and the British government each decide that they cannot abide such an interracial union—particularly when South Africa, a British ally, was in the process of instigating apartheid. For the most part, A United Kingdom is a fairly standard film, but that by no means makes it bad. The screenplay races through the initial courtship between Seretse and Ruth in haste to get to the juicier material, once their relationship becomes of global political interest. Nothing is lost, though, as Oyelowo and Pike quickly convey all you need to know about how much their characters are devoted to one another; their rapport immediately apparent, so you immediately feel the strength of the bond between them. The whiplash-inducing switch from foggy London to a stunning, vibrant Africa (the film was shot on location in Botswana) is fantastic. After the sepia-tinged early scenes, the bright and colourful savannah is as much a (welcome) shock to the system for audiences as it must have been for Ruth. There also some interesting moments in the inevitable culture clash, like Ruth being shocked that there are ‘Whites Only’ establishments even in Africa. Of the two leads, Pike is eminently likeable as the plucky Ruth, but it’s Oyelowo who steals the show. He’s simply magnetic throughout, especially during an impassioned speech delivered to his tribe—calling for unity and beseeching his people not to be infected by the disease of segregation and apartheid that’s sweeping the neighbouring countries. It’s far far and away the movie’s highlight; a sensational moment with Oyelowo conveying a real depth of feeling from the words. It may be a similar trick to that which he played in Selma (playing another impassioned civil rights activist, Martin Luther King), but nobody in Hollywood delivers rhetoric more powerfully. It’s tempting to suggest the film goes to great lengths to depict the nastiness and hypocrisy of British colonialism, but that would do A United Kingdom a gross disservice. After all, this is a true story, and if the British come off as absurd and vindictive, it’s because they were. The lengths the British powers that be go to separate Seretse and Ruth to protect their own interests is frightening and disgusting in equal measure. What’s most striking is the extent to which attitudes that would ideally seem archaic and antiquated, sadly feel rather familiar. While the contemporary relevance is difficult to ignore, Asante’s film never gets bogged down in holding up a grim mirror to today’s world—or even wallowing in the misery inflicted upon the couple in their own time. A United Kingdom remains bright and breezy for the most part, with Asante even inserting some welcome humour into proceedings, usually at the expense of naff Britishisms: Ruth practising a royal wave in the mirror (she’s effectively a queen now, after all); British officials pausing a grave meeting for a glass of sherry at the stroke of 6 p.m; Jack Davenport’s odious Alistair Canning donning a ludicrously ornate British imperial uniform in the midst of Botswana’s sweltering wilderness. 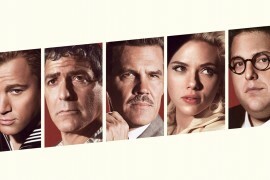 The score, by Patrick Doyle, is perhaps a little on the nose, but nevertheless underpins what is a sweet and good-natured movie, despite the hardships faced and the disgusting political agendas on display. 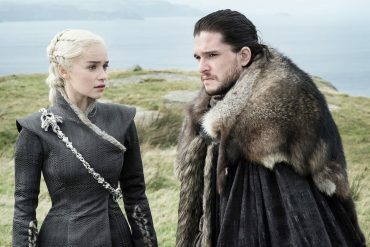 The film’s messages are delivered in relatively basic manner, but they still resonate: unity, family, tolerance, working together, the power of love. These are what this period film preaches, and it’s a sermon that many in 2016 could do with heeding. As amiable as it is, A United Kingdom never quite manages to become something truly special. It’s exactly the film you think it will, with very little surprises. But it’s nevertheless an important picture. A British film, directed by a black British woman, starring one of Britain’s best black actors, A United Kingdom champions diversity, both on screen and behind the scenes. It may be unspectacular, but it gets the job done, and while Oscars may be a stretch too far, it’s certainly entertaining and worth watching for Oyelowo’s captivating performance if nothing else. And, in the era of Brexit Britain, it’s a film that perhaps feels more necessary than it otherwise might have three months ago. writer: Guy Hibbert (based on ‘Colour Bar’ by Susan Williams). 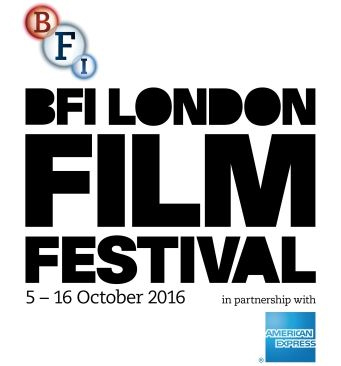 starring: David Oyelowo, Rosamund Pike, Jack Davenport & Tom Felton.